Moving is stressful, and just imagine how tense it can make your animals. Animals can easily get stressed when there is unusual activity in their home or when relocated to a new environment. Moving with pets does not come with a recipe solution. 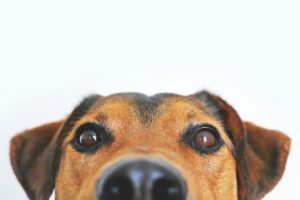 However, below are a few tips that could make the experience a little calmer for your dear animals. Pack an accessible overnight kit that will offer enough kitty litter, dog food, grooming tools and toys to comfort your pet and remain comfortable during the unpacking stage. If you are relocating to another area code, give your local vet a call for any records or prescription medications. In addition, request recommendations of other specialised vets that will be around your new neighbourhood. When you are in the process of moving, the best way to minimize on your pets’ stress is to contain them in the quietest area possible. If you are not willing to leave them at a kennel, make sure you are able to remove them from heavy foot traffic and noise. Bring your pet to your new home in your own vehicle. Puppies and cats may be put in a carrier, which is then secured with a seatbelt. If you have a bigger dog, you are able to move them in a kennel at the back of your car. Most animals feel more relaxed if you place a blanket over their carrier. 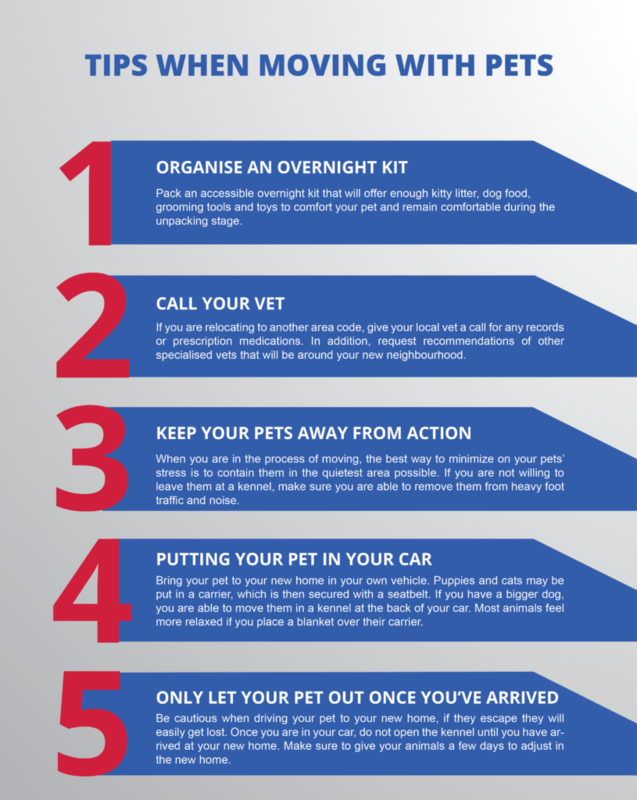 Be cautious when driving your pet to your new home, if they escape they will easily get lost. Once you are in your car, do not open the kennel until you have arrived at your new home. Make sure to give your animals a few days to adjust in the new home. Looking for specialised moving companies in Johannesburg? Visit Better Moves today for the best packaging, packing and relocation services! Enquire online for a quotation today.